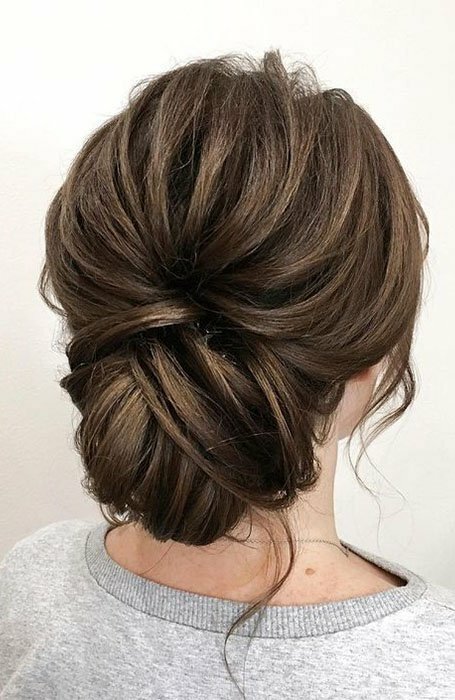 Having short hair doesn’t mean you can’t create a stylish and elegant updo! 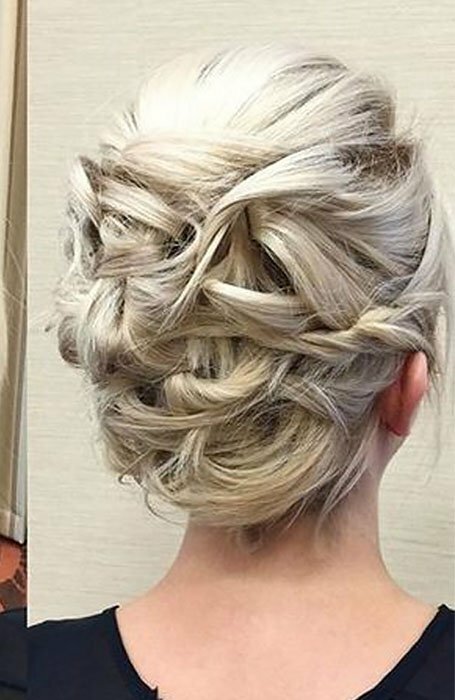 All hair lengths and textures can be styled into a fashionable updo, all you need is some inspiration! From chignons to Dutch braids, those with short hair aren’t short of styling ideas. 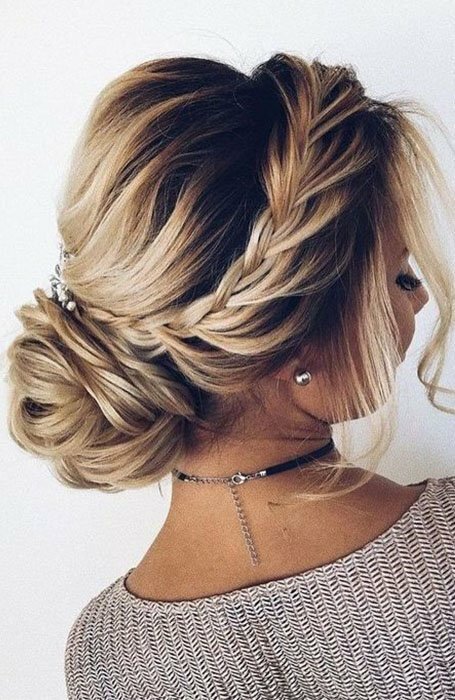 Whether you’re heading to prom, your wedding or just the beach, these stunning updos for short hair are ideal for all occasions! For the days where you haven’t washed your hair, or it’s too hot to keep it down, this is the style for you. Perfect for ladies with shorter hair, a Double Dutch Braid is on trend, easy to create and super cute. 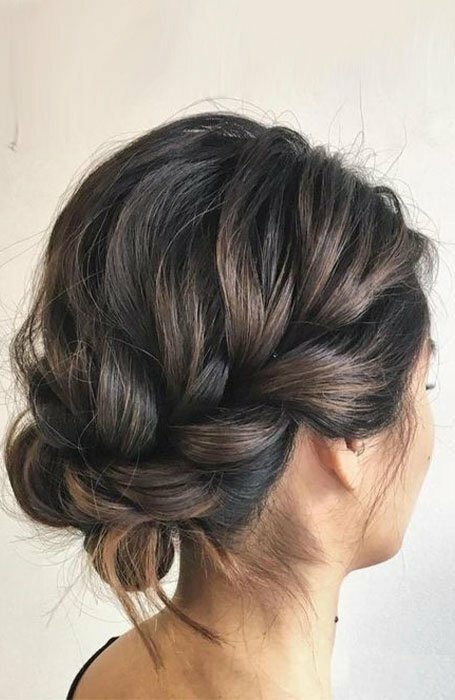 Much like a French Braid, you begin with three main locks of hair, but reverse the braiding technique, leaving the twist on top of the head, rather than underneath. Continue until you reach the nape of your neck and then finish off the braid like a regular plait. This style is super cute and effortless, so you can wear it anywhere! You’ve got the perfect dress, now get the fabulous hairstyle with this elegant prom updo! Begin with a dry shampoo for extra volume and create a side part. Add a fishtail braid, wrapping over the side of your head into the bun. Pull out any loose tendrils to frame your face, and curl them to add extra volume. Getting ready in the morning just got easier with this hairstyle. Chic and stylish, it is perfect for those with short hair. Create a plait and tuck the ends of your hair underneath, securing it with a bobby pin. This style is ideal for every day but is so fabulous that you could wear it to a special event or a night out with the girls. 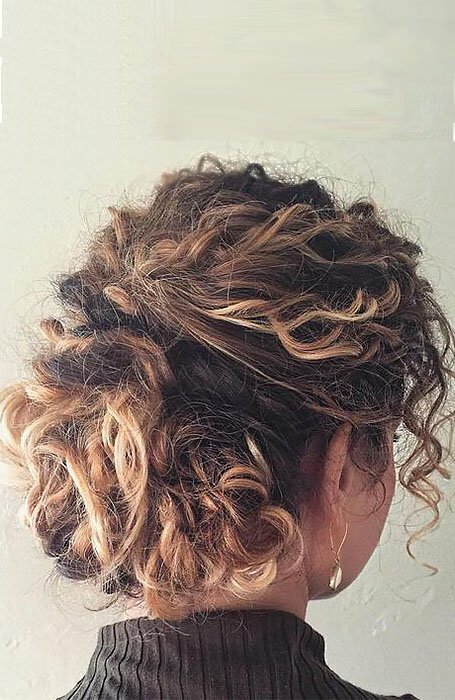 You don’t have to have straight hair to create stunning updos; short, curly hair is perfect for it too. Bring the front sections to the back, pinned down to the middle part of the crown of your head. Depending on the length of your hair, you can pull the rest it into a low bun, or leave it out. This style is simple, yet so beautiful. It’s an ideal hairstyle for when you need to run errands, going to work or the beach. Updos aren’t for people with medium to long hair only. Pixie cuts and bobbed hair can create the most beautiful updos in the blink of an eye! Twist small locks of hair into the back of your head, pinning them down. Add some dry shampoo to the roots of your hair for extra volume, and release some face-framing tendrils. This style is ideal for those with very short hair and is perfect for any event or gathering. If your hair is somewhere between short and medium, have no fear, an updo is just as easy for you to create. Braid a large, loose plait on the side of your head and work your way across to the back of your head. From there, fix the remaining hair into a low bun at the nape of your neck. This style is casual and elegant all at once. Opting for an elegant hairstyle is a go-to for any bride. 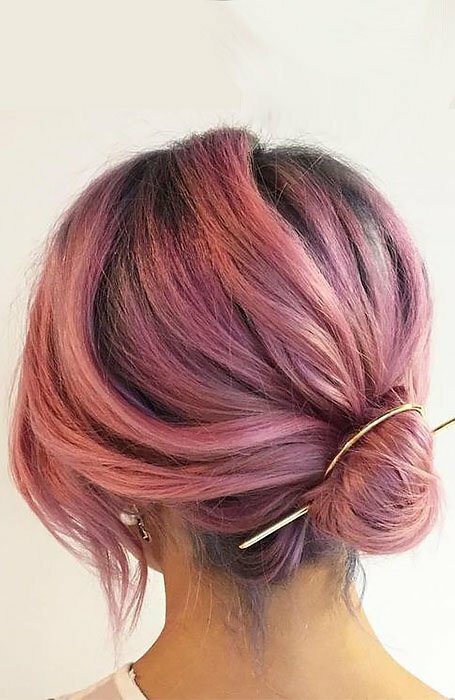 You never have to sacrifice having a delicate and graceful hairstyle if you have short hair – this updo is perfect for all hair lengths. 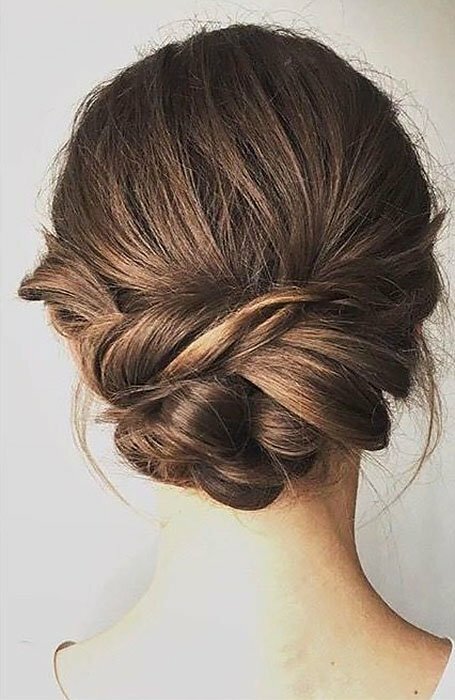 Curl the hair and strategically place tendrils underneath each other into a full and voluminous chignon, creating an illusion of long, flowing hair. 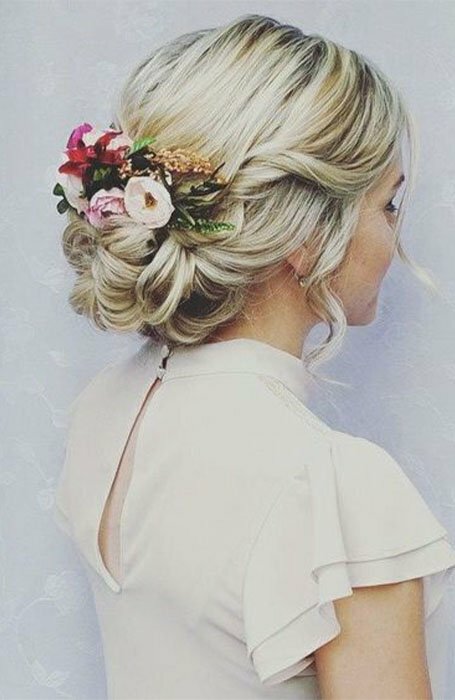 Add a small bouquet or a comb above the bun for a stunning bridal look. Thin or fine hair can create beautiful and stylish updos, just as those with thick hair. Part your hair in the centre, and pull the two large locks to the back of your head. Just twist the sections into two buns and pin them back. This style is perfect for those in a rush, or who are trying to look fancy without the commitment. On trend and super easy to create, you’ll be turning heads everywhere you go. Hair of any texture can create the perfect updo, no matter the length. Pull your hair into the top of your head, pin some in place and let the rest fall naturally. 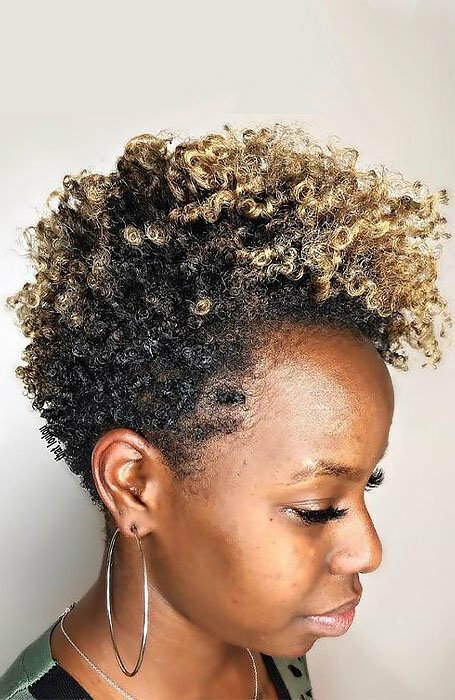 This faux-hawk is the perfect solution for those who want to switch up their style, but don’t have the commitment level to shave their head, or want to grow their hair out. This style adds volume and it is ideal for any event. A low bun or chignon is the best way to utilise your short, straight hair. Begin by brushing your hair into two little pigtails, and create loose braids. Then wrap them together into a low bun, with any loose strands pinned down to the back of your head. This style is ideal for those who don’t wish to curl their hair or are in a rush to get out of the house. Despite being so easy to create, it’s a beautiful style, that would be perfect for a wedding guest, party or just a night out. Frame your face by pulling out some loose tendrils at the front, and watch the compliments flow in. 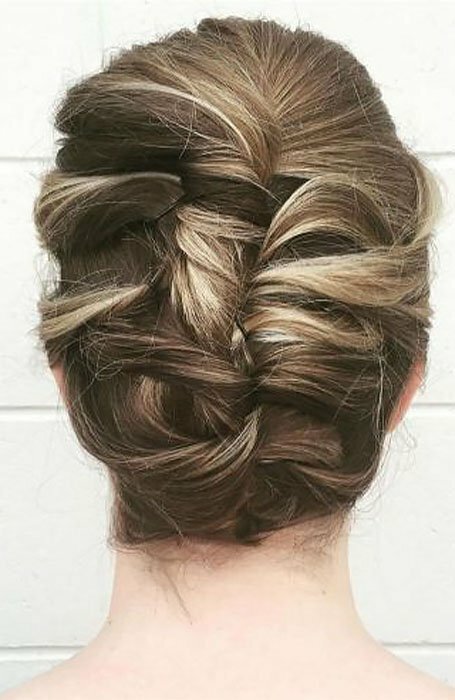 You don’t have to look polished 24/7 to look stylish, and this hairdo proves just that. A short, messy hairstyle is super cute and casual, it is ideal for day-old hair. Use some dry shampoo to add volume and sweep your hair into a low ponytail. Be sure not to flatten down your hair, and don’t be afraid to leave some strands of hair loose. Add further volume by pulling some of the hair out from the temple of your head, and zhush it up by making it look a little messier. Bed hair is always in style, so don’t be afraid to get a little messy! 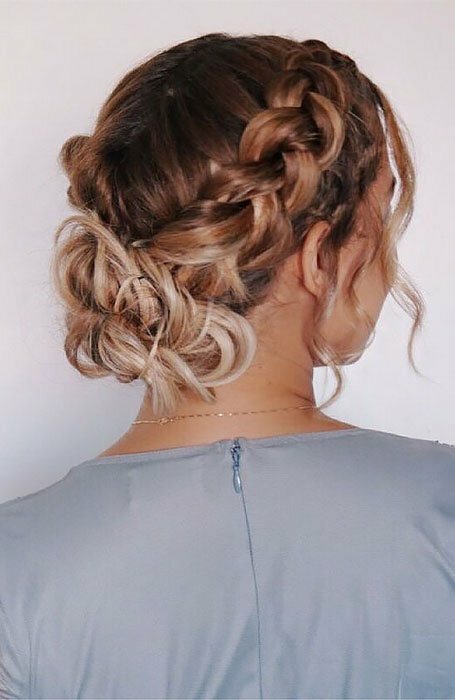 No matter the length of your bridesmaid’s hair, these styles will create a universally flattering look for your whole bridal party. Tease a small section of the hair at the top of the head to create volume, then wrap curls into a French twist. 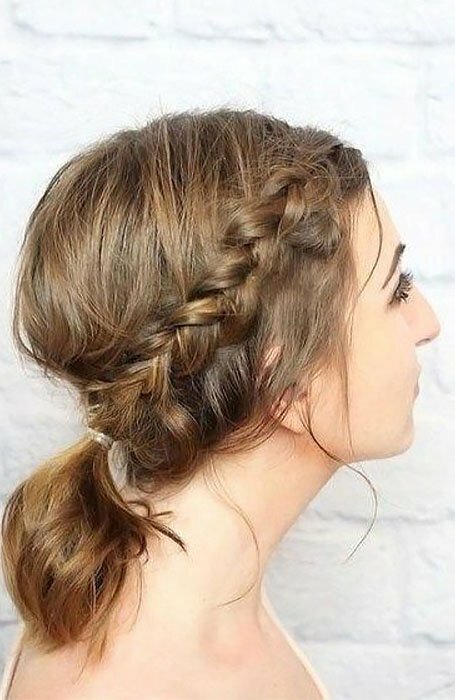 This style may look complicated, but it’s a simple and stunning solution for anyone who doesn’t know what to do with their hair. Combined with a delicate comb on the side, your bridesmaids will take people’s breath away instantly. In a rush? 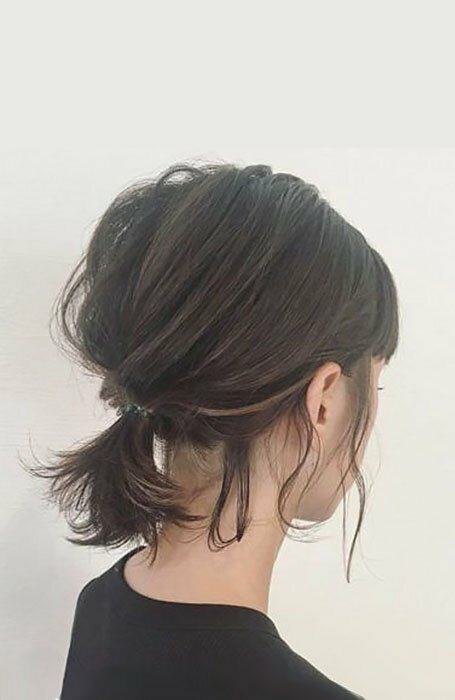 This quick and easy updo is the perfect answer – a low bun or chignon is a simple, yet effective style for those who are in a flutter, without looking like you got ready in the dark. 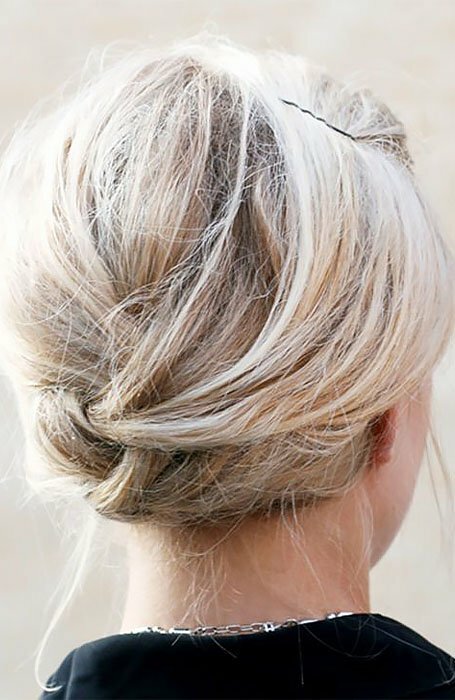 Pull your hair into a loose bun, and secure it with a few pins. 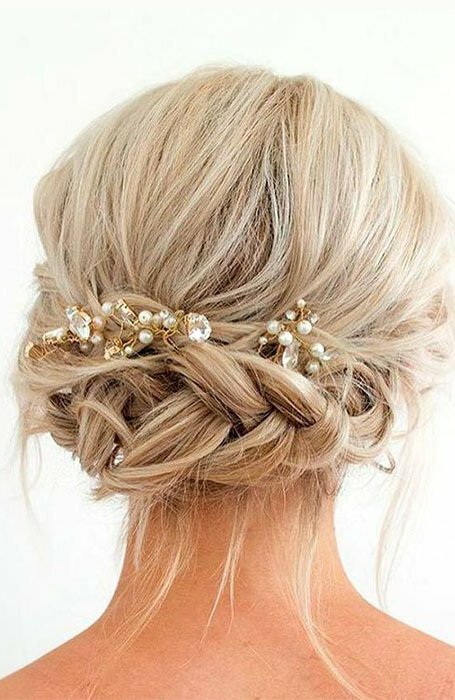 If you’re feeling a bit fancy, be sure to add a flourish or two, such as a decorative bun pin or a comb. No one will ever know you were in a hurry with style this cute! 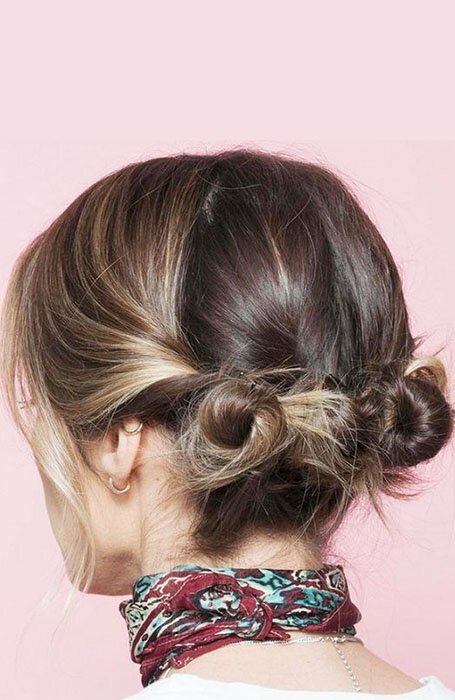 Having brunch with the girls just got cuter with this hairstyle. Mix up the classic ponytail with a French braid on the side of your head. The braid, when nipped in at the nape of the neck, will add extra volume to the lower half of the ponytail, giving a chic appearance without too much effort. Keep the casual flow going by pulling out some tendrils to soften your features and adding more volume to your hair. This casual style is perfect for days out shopping, having lunch with friends or university. If you have an event coming up, this style is essential to test out. Similar to previous chignons, it gives the appearance of long, flowing hair, even if you have shorter locks. Using a volumising mousse, pull your hair into two low ponytails. Twist one into a low bun, and wrap the second ponytail over the top, placing tendrils over the first bun. This style may take some practice, but the finished effect is show-stopping. Curl your hair before starting to add extra volume to give it a formal feel. You don’t have to have a chignon to create an elegant updo. For those with short hair, two fishtail plaits are all you need to produce a delicate and tasteful updo. Wrap them around the back of your head, and secure with several decorative bobby pins. This style is ideal for a special event or night out. Create a boho-chic look by twisting out some loose tendrils under the braid and at the front, giving a lived-in appearance. A zesty update to the classic French twist, this style is perfect for those with short hair. Begin by parting your hair and teasing the ends for extra volume. Pin the right side to the middle of your head, securing it in place. Then gather the left side of your hair and twist it into the centre. Be sure not to create a bun, but instead wrap it, so it looks long and sleek. Begin pinning your hair in place from the bottom, and keep pinning until the hair is locked in place. This style is a classic, Audrey Hepburn-inspired updo, and works for any event or gathering. A bohemian-inspired updo is all about texture. Before styling, add dry shampoo and beach spray to your hair, giving it a full and textured finish. 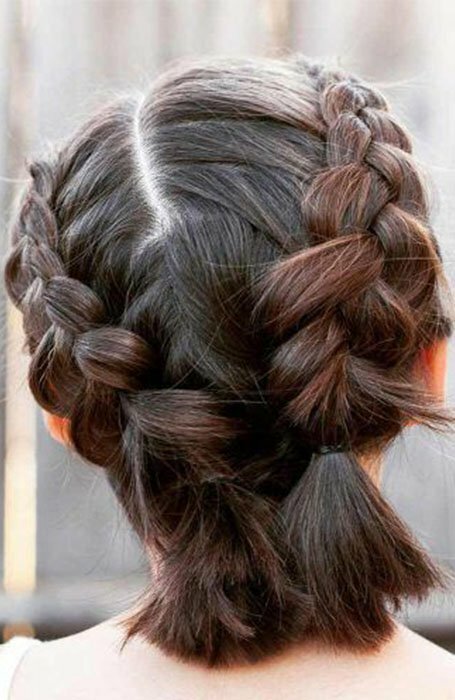 Create two loose Dutch braids on each side of your head. With the remaining locks of hair, finish it off with a messy low bun. Pin it up and don’t be afraid if some tendrils fall out. You can add some flower pins to the plait if you wish, but be sure to keep it messy and beachy. This style is a stunning summer updo and is ideal for a festival or beach day. Flat twists are an essential style for those with afro hair. 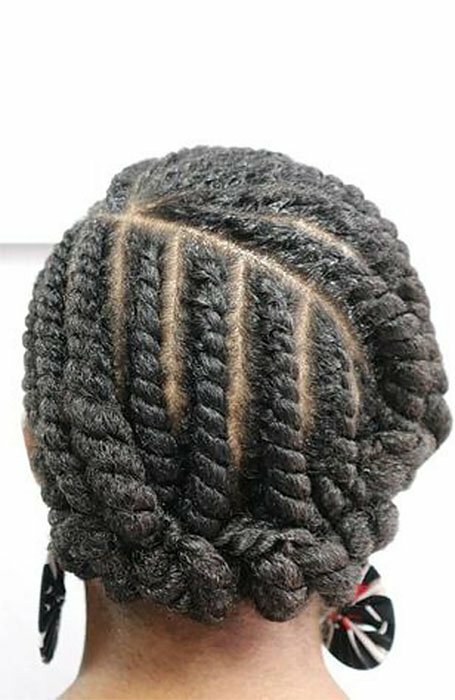 Begin with sectioning your hair, and braiding each section individually. Continue this until you have covered all sections, and finish by wrapping the twists underneath each other. This style is perfect for keeping the hair off your face, ideal for fancy events or every day.